Today, we discussed the results from the Hubble’s Law lab and continued with our discussion of cosmology. We focused on Dark Matter and the work of Vera Rubin, Frank Zwicky, and Peebles and Ostriker. 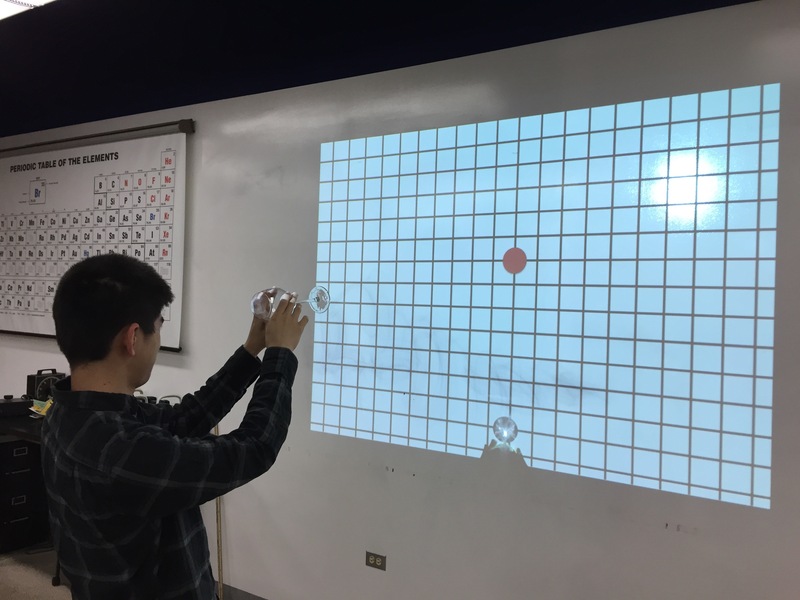 Here a student tries an analogy for gravitational lensing by looking at a projected grid and a dot though a wine glass. As you move the wine glass, the grid is distorted. Held in the center, the dot becomes a ring, much like gravitational lensing of galaxies.